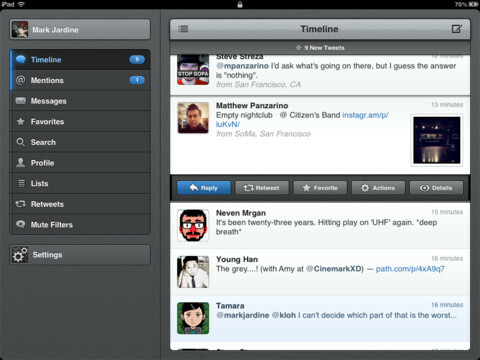 Earlier today, Tweetbot for iPhone got updated to version 2.0, and now Tweetbot is available for the iPad and iPad 2. The new app will cost you $2.99 and is available now. The new iPad version of Tweetbot includes many of the new features from the iPhone version, some of those features can be seen below. You can download Tweetbot for iPad right now in the App Store for $2.99.